More than 50 million consumers and business owners from Ohio to New York and Canada would agree that a consistent power supply is not only vital to the overall economy, but also for the comfort and stability of daily life. The major power outage that struck the U.S. and Canada in mid-August of 2003 cost New Yorkers alone, an estimated $500 million. Although experts point to a dated power grid as the main cause of the recent outage, every detail of the power generation system, including the smallest component, plays a critical role in maintaining the electric power plant. 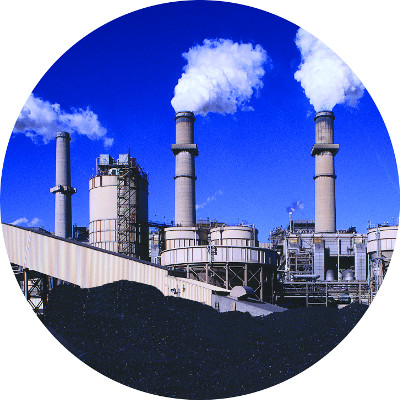 Depending on the size, a single plant can have more than 25 coal pulverizers. 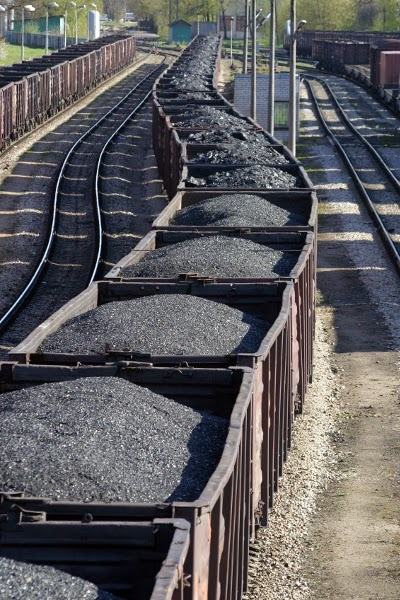 Coal pulverizing allows for less emissions and more efficient use of the fuel. The coal burns to create the steam that turns the generators and provides electric power. Large electric motors use a worm gear arrangement to drive the coal pulverizers and a blower that sends the pulverized coal to the furnaces. The shafts of the motor must be mechanically connected to the worm gear and blower. The worm gear is a relatively small, yet vital component. If it fails, the pulverizers and blowers can no longer operate. Gear couplings allow for axial movement of the shafts, which increases the wear on the gears, sleeve bearings and other components. This wear on the components would cause them to fail prematurely. The loss of production due to downtime was becoming an issue. Bearing replacement costs were in the thousands of dollars per bearing. Preventative maintenance costs associated with gear couplings were also becoming a burden due to time spent on inspection and lubrication to keep them operative. The power plant’s rigorous preventative maintenance program required regular disassembly of the gear couplings for inspection, cleaning and re-lubrication of the gear teeth. 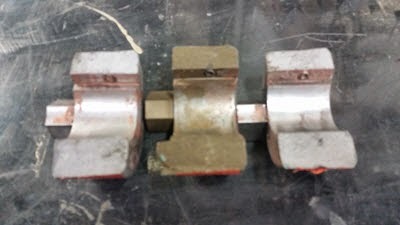 In addition, assessment of the condition of the couplings was a judgement call unless extensive and time-consuming measurements were performed. Coupling replacements also require heavy machinery to move the motors. The existing gear coupling design was typical of the technology available when the plant was built in the early 1970’s. Where gear couplings did not limit axial movement of the motor shaft, sleeve bearings were used. This old technology configuration increased wear and shortened life spans of both the motor sleeve bearings and the gear couplings. In other words, increased sliding velocity of the gear teeth in the gear coupling creates a lot of heat and wear, just picture yourself rubbing two sticks together. The motor moves a bit, the gear on the coupling moves a bit, and this motion could be repeated up to a million times over the course of the day, contributing to premature failure. Install gear couplings with limited end float; however, its maintenance nightmare will continue because the gear couplings are difficult to assess for wear and the inspection and replacement of the gear coupling still required removing the motors. The gear couplings would still have to be disassembled, inspected, cleaned, and re-greased every time; definitely not an effective solution. Install a Disc Coupling. Unlike gear couplings, the Lovejoy SX Disc Coupling design is inherently balanced. There is less vibration than the gear coupling as it wears. The disc coupling performs a limited end float function without special design considerations for the sleeve bearings. Maintenance-free operation is achieve because the Lovejoy coupling has no moving parts and requires no lubrication. This translates into a long coupling life. 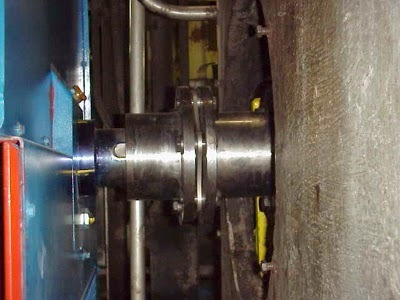 Preventative maintenance and inspections of the disc coupling’s flexible elements was now possible using a simple strobe light and while the coal pulverizer is running. Hence, there is no need for an expensive shutdown and disassembly. Replacement of the disc packs became a breeze without moving any machinery or disturbing the original alignment. Lovejoy was able to provide a heavier duty coupling than the gear type in the same space as before. Nothing had to be moved or modified for installation. Additionally the component cost was comparable to those of a gear coupling. The Lovejoy’s design allows for more capacity and misalignment capability than any other disc coupling available today. In addition, disc coupling signals the maintenance staff when it needs replacement – you can actually see it with your own eyes without any disassembly. In contrast, in gear coupling is more of judgment call, unless you take it completely off the machine and measure it extensively. 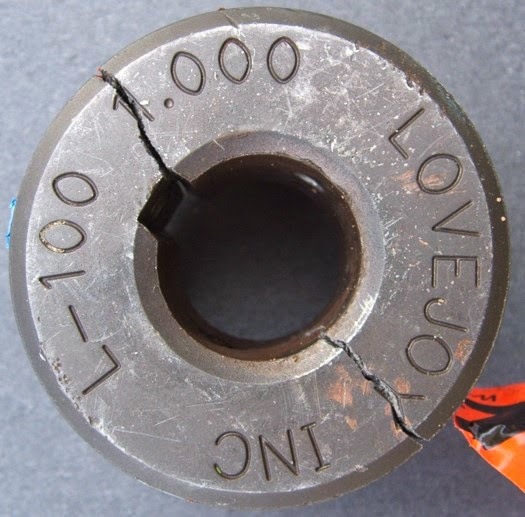 With the Lovejoy disc coupling, the outer leaf of the disc will crack before the entire disc pack fails, signaling to the maintenance staff it needs replacing. The coal pulverizer is critical equipment, if it is not blowing coal, it is not generating power; needless to say, would you rather have your pulverizer blow coal or blow off your money?. The disc coupling solution reduced the maintenance nightmare, and the plant has been experiencing success for more than a year with the original installation. Plant management approved the proposal to convert all gear couplings on 24 coal pulverizers to Lovejoy disc couplings, based upon the proven benefits and demonstrated cost savings.